Do you want to know what some of the hottest plugins for WordPress are? Read on to find out what House of Hepworths favorite Plugins are and Why they made the Top 10 list. I love WordPress and the bazillion Plugins available for it. For all my fellow WP bloggers out there I’d compile a list of my personal Top 10 favorite plugins and why you should use them too! I currently have 18 active Plugins that I’m using on my blog, so it was quite a challenge to narrow it down to the top 10. At the bottom of the post I’ll link to the remaining 8, but I’ll leave out the commentary. Link Within retrieves and indexes all stories from your blog archive, not just recent stories, making them accessible to new or casual readers of your blog who would not otherwise encounter them. 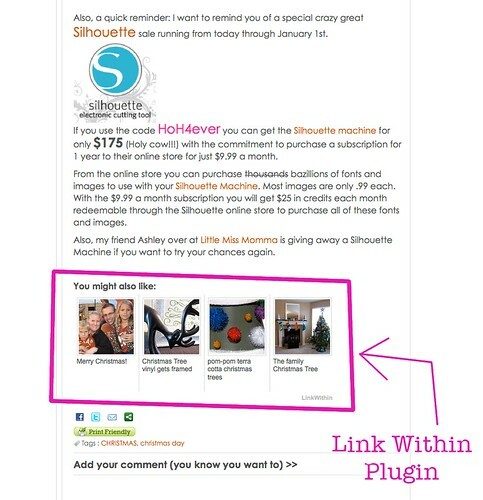 It helps to keep readers on your site by offering quick links to related posts. 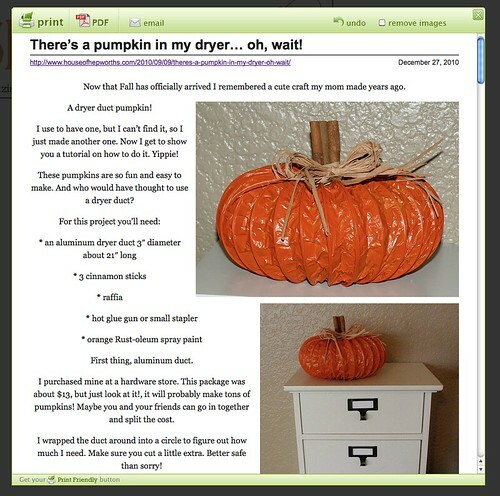 Print Friendly & PDF adds a button to the bottom of each of your posts that allows uses to print your post in a print-friendly format or turn your post into a PDF file. I love this plugin because readers frequently ask for a PDF or print-friendly version of my tutorials, and now they have one. Commenter Emails allows you to extract a listing of all email addresses left by commenters. This is a screen shot taken from the Commenter Emails website. 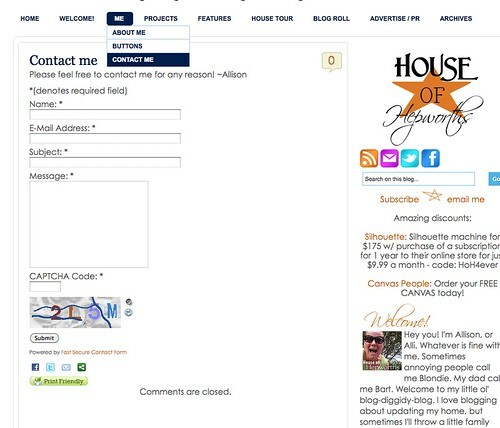 This is a great plugin because it keeps an alphabetical list of all email addresses left by anyone who has ever left a comment on your blog. This is NOT an Email Subscription List though so use at your own risk. I rarely use this list to email my readers, and when I do I only BCC them so that their email is not shared with everyone else. I also will never sell or give out this list to anyone. 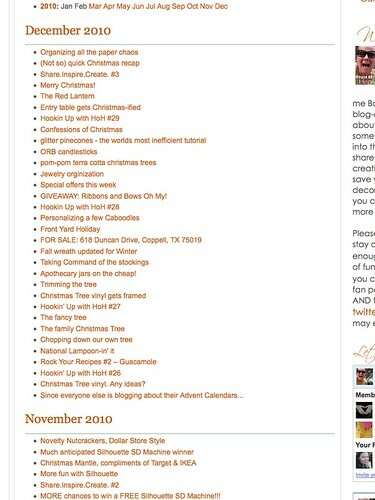 I don’t want to spam my readers, so in the 10 months I’ve been blogging, I’ve only used this list twice. 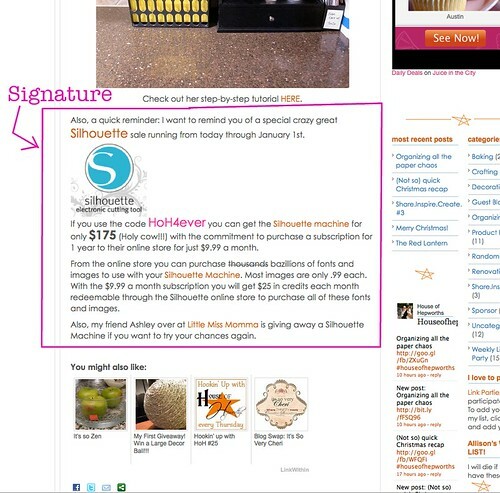 FT Signature Manager gives you the ability to setup a signature and to include it at the bottom of your posts. After you install the plugin, to create a signature go to Users/Signature Options. From there, just fill in the box. 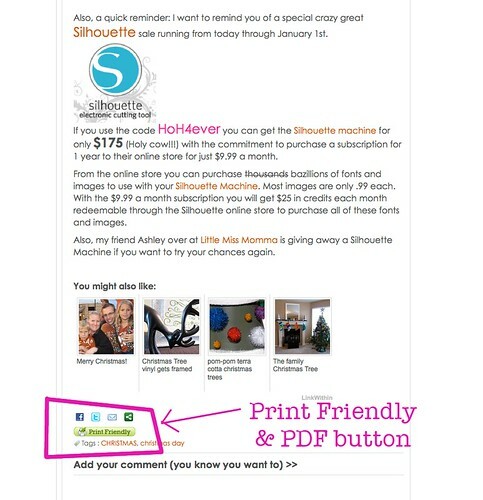 Once you add a signature, it will post at the bottom of every single post on your blog. A signature is dynamic, meaning that it changes based on what you put in the signature box. 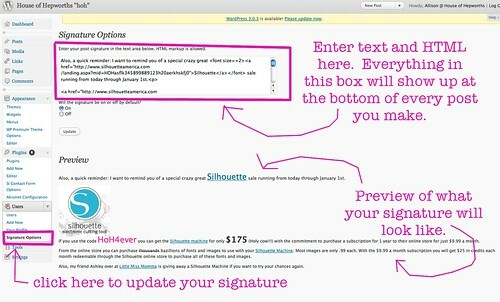 Whenever you update your signature it will update the bottom of every single post on your blog. I change my signature constantly to give my readers a heads up on good deals, or to remind you about a fun giveaway going on. It’s an easy way to get an announcement to the masses without having to create an entire new post. Smart Archives Reloaded is an elegant and easy way to present your posts on a single page. I have a tab at the top of my blog called Archives. This is a hyperlinked list of every single post I’ve ever made in order by date. It’s great for you guys to easily browse old posts of mine. I also use it almost daily when I’m writing posts and want to link back to older posts. I go to this page and can easily find the post I want. The most common ways for people to subscribe to a blog and its content are through RSS, Email and Twitter. Facebook pages are increasing in usage too. 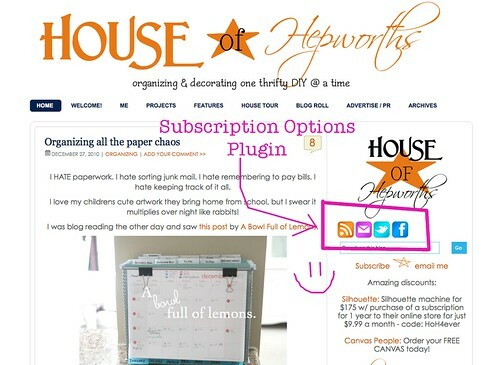 Subscription Options places these icons in a widget area and lets users enter their own feed or page URLs and color options. It’s really simple but there’s lots of power under the hood. WPtouch lets you easily setup a rich mobile theme for iPhone, iPad, Android, Blackberry, Palm OS and Samsung touch mobile visitors, completely independent of your desktop theme. When you visit my blog from your phone, my blog is in an easy to read format created just for phones and mobile devices. It loads quicker and is formatted for easier viewing. Of course, you can always switch to my full blog by clicking the button at the bottom of the page on your phone. Fast Secure Contact Form is free software that lets your visitors send you a quick E-mail message. It also blocks spam and includes a CAPTCHA and Akismet support. I have a tab at the top of my blog called Contact Me. This plugin created a form that is easy to fill out so my readers can easily contact me to their hearts content. Akismet is a Spam Filter that filters out your comment and track-back spam for you. In 10 months of using Akismet, this plugin has blocked 5,300 spam comments from being posted on my blog. Nice! RSS Footer is essentially an additional Signature (See #7 above) but only posts to RSS feeds including Readers and Email. I triple-love this plugin because it allows me to send additional messages to my readers who read my blog from an RSS feed. Many people don’t come to my blog every day. They subscribe to my blog and then my posts are emailed to them or placed in their reader. 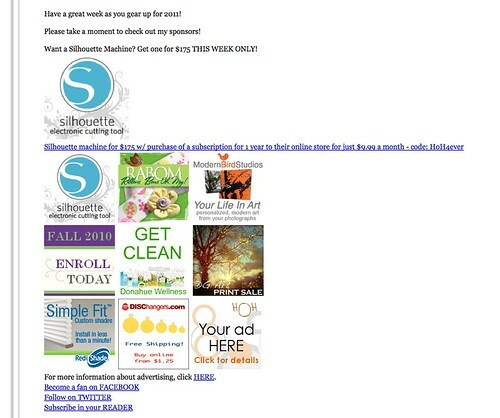 The biggest perk to this plugin (for me) is that I have advertising on my blog. These advertisers are concerned that people aren’t seeing their ads because most of my readers are viewing my blog from an RSS feed. With the RSS Footer plugin I can add all my advertisers buttons so that all my RSS feed readers can see them every time they read one of my posts. The perk about adding these sponsors to the RSS Footer plugin as opposed to just the basic Signature (#7 above) is that the basic Signature shows up on your actual blog, but the RS Footer doesn’t, so it doesn’t clutter the bottom of each of my posts with tons of ads and additional info. If you are reading my blog from my actual site then you are seeing the ads on my sidebar, so they don’t need to be in my signature. So there you have it. My ten most favorite WP plugins. Here are all the additional plugins that I use. They are just as important to my blog, just not my top 10 favorites. My Page Order, Future Calendar, WP to Twitter, Google XML Sitemaps, ShareThis, Most Commented Widget, Wickett Twitter Widget, & What Would Seth Godin Do. Are there any I missed? If you know of some totally wicked-awesome WP plugin not on my list, please do tell! I’d hate to miss out on something great! I’m currently working on a list of my favorite Widgets. Hopefully I’ll get that up next week. Images borrowed from WordPress& ZDnet. Thanks for sharing this – super useful! I’ve been trying to learn more about the plugins and using them and I get pretty confused. Did you have to mess with the the CSS or whatever to make them work? Or are they pretty user-friendly? I am a blogger user. but I wasnt really sure about the transition because I dont know anything about word press. Could you give me some insight to it. Would it be an easy transition? exactly how does it work?? Please email me if you get a chance. One day I will switch to WordPress (maybe) and then I will need this post! Bookmarking it until them! I used blogger before and just switched to wordpress and I’m not sure I like it. It is so confusing and I have no idea how to find or use any of the above mentioned plugins. Do you need to have a particular theme for it or what? Not that I can figure out how to change them either. I totally miss blogger and the easy html changes. Thanks for all the info. I have WordPress and am so confused most of the time. This will help so much. Have a great day! Now that I know how to use WordPress I LOVE it. To add plugins, on your left sidebar on your admin section (where you make your posts from), go down to “Plugins”. One says “Add New”. From there in the Search box just type the name of the plugin. When you find it, hit install. It should work from there. If it needs any tweaking you can do it from the left sidebar under “Settings”. Any plugins that allow you to tweak or update them will show up under “Settings”. Just click on the name of the plugin you want to update (for example, the RSS footer) and it will take you to a user-friendly screen you can update. WordPress has a bit of a learning curve from blogger, but once you get to know it, it’s so much more powerful and better to use. I’m not sure about the transition exactly, but I do know that you will have to pay to host your domain every month (we use bluehost.com) and you will need to register your domain (we use godaddy.com). After that, you will have to migrate all your stuff over, which if you aren’t a computer person might be a scary task. I suggest you find someone who can help you. My husband is considering helping people make the switch from blogger to WP as a side-job, but he’s still not sure it wants to get into that business even though he’s great at it. If he decides to do it I’ll make sure to post about it with his rates. You shouldn’t have to mess with the CSS at all to get them to work. The only time I mess with the CSS is when I want to make permanent changes. 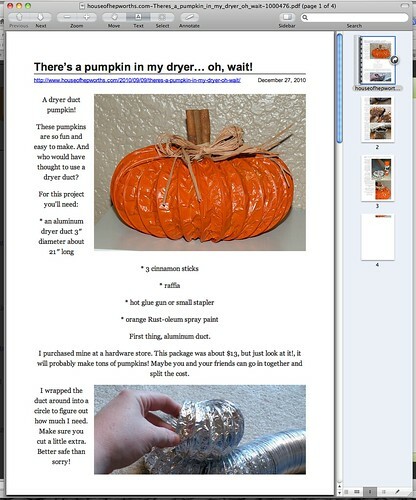 I’ve changed my hyper-linked font color from blue to orange, the wording for my comment link (“Add your comment (you know you want to)”), I added some cryptic cute messages when you hover over certain text just for fun, I changed my comment form from “add name” to “add your John Hancock”, etc. I would NOT suggest you mess with your CSS unless you are 100% certain you know what you are doing. The plugins are very user friendly for the most part. I’ve found terrible plugins that I’ve uninstalled just as quickly as I installed them. The ones I provided in this list are all ones that I actively use and recommend. I also use WordPress and I’m happy to see a post from another blogger who uses it. Here’s the thing, I’m still on WordPress.com. Are the plugins only for WordPress.org blogs? That was my understanding. How long before you made the transition to a .org blog? Do you remember it being difficult? I guess I’m intimidated by finding a host, etc. Hi, I’m ‘well impressed’ ! As a plugin junkie myself I was not expecting to find 50% + of plugins I didn’t know about – Yay! Good job and nice post – delicioused! Thanks for listing these, I’m new to wordpress.org…only about a month and a half since the transition from .com. I am still learning all the plug in options! I use WordPress.org. I have no idea if they are only for WP.org or not. Good question! Anyone know the answer to this? I always cut around the ceiling by hand, but I really wouldn’t recommend that way for most. I practiced my technique for a long time to be able to cut free-hand. So, what I guess what I’d probably do is tape off the area by putting the tape on the ceiling. Then I’d run a very thin bead of caulk over the tape line. VERY THIN. Just enough to block the paint from leaking under. When the caulk is dry, paint away! It should work. I did this when I painted between my chair rail and wall in my piano room and it worked like a charm. I’ve done it with caulk and paint, and the paint peeled right off. The caulk way worked as well, but I did have to peel slower and be more careful. This is an excellent question!! Paint your first color around the corner just a bit. Then tape off the corner by putting your tape over your 1st color. Paint the edge of the tape with your first color (on the 2nd wall), then just paint your other color. It should work like a charm. Great tutorial! It came out great. I will go check these out. this is such amazing info you shared ! Thank you! Just starting up a new blog on WordPress and am still tweaking the look of it. Do you have a trick for A) moving the About, Home and RSS Feed nav bar to the side bar and B) if it cannot be moved, how to change its colors to make it blend with the rest of the blog colors? I’m glad my info has helped! 😉 A) where is your nav bar now? All templates are different. Mine came with this search bar at the top that my husband had to remove for me. I installed the plugin for my buttons – facebook, RSS, email, twitter – and I just dragged the widget into my sidebar. From there I changed all the colors to whatever I wanted. Let me know if that answers your questions. If not I’m happy to help out more. As I will be loading some tutorials I notice in my test one that it picks a random pic..sometimes one that it’s an ‘in progress’ one rather than the finished (and first) pic. Do you know if there is anyway to control this? I use WP, and I didn’t know about most of these. They are great and are going to be GREAT to use on my site…thank you, thank you, thank you!!! Oh, I used some SQL in order to get the email addresses…nice to know there’s a plugin for that – hehe :D.
Now I know how to enable advertising via rss as well, which is super-awesome. Thanks again! Great list… Just moved to wordpress a few months ago & you’ve got a few on your list that I haven’t heard of… going to check them out. Thanks & have a fab weekend!